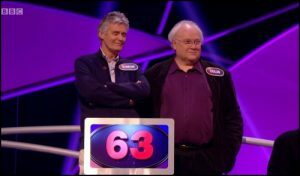 One of those strange coincidences last Monday when I was watching the TV show ‘Pointless Celebrities’ while my wife was sorting through old photos. Colin Baker, the 6th Dr Who from 1984 to 1986, had just lost in the first round when my wife found the photo below His partner on the show was Simon Williams who incidentally appeared as Group Captain Ian ‘Chunky’ Gilmore in the Dr Who story ‘Remembrance of the Daleks’ but with Sylvester McCoy as The Doctor. 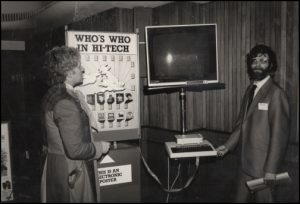 He was also in the Dr Who spin off ‘Counter-measures’ I remember very well the occasion when the photo was taken, it was the ‘Ford Hi-Tech Challenge’ from 1985 where children had to come up with innovative ideas. I can still recall the winning idea which unfortunately wasn’t the best and has never been seen or heard of since (I think they chose the most photogenic child!) 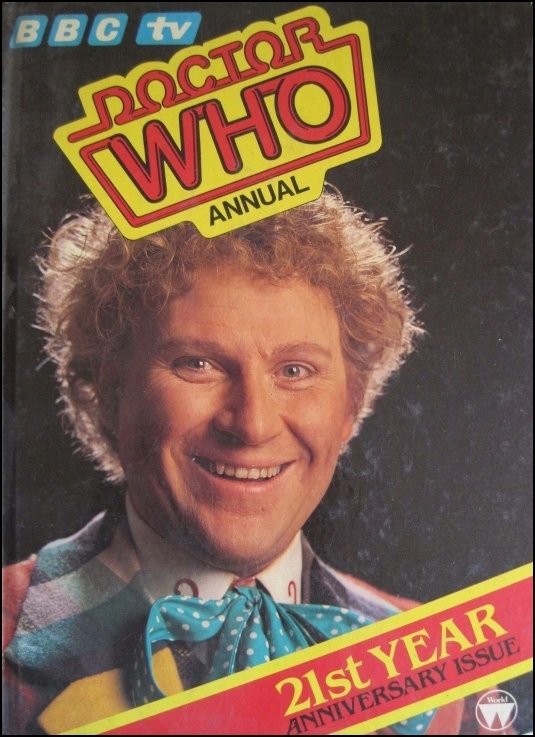 Colin Baker came along to present the prizes and wrote on my programme ‘You are welcome aboard the TARDIS anytime’ and signed it ‘Doctor ?’ as apparently due to BBC arrangements he was no allowed to use ‘Dr Who’ I just wish I could remember the ‘safe place’ I put it. 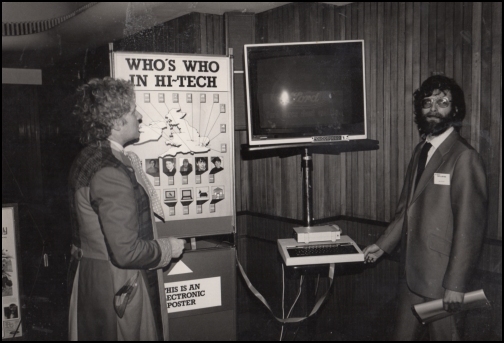 I was proud of my A1 sized ‘electronic poster’ which was touch sensitive and plugged into the BBC Computer although the royalties barley scrapped into four figures as we ended up giving most of them away especially to Ford for ‘The Motor Show’ although I still have 3 in my garage and open to offers! 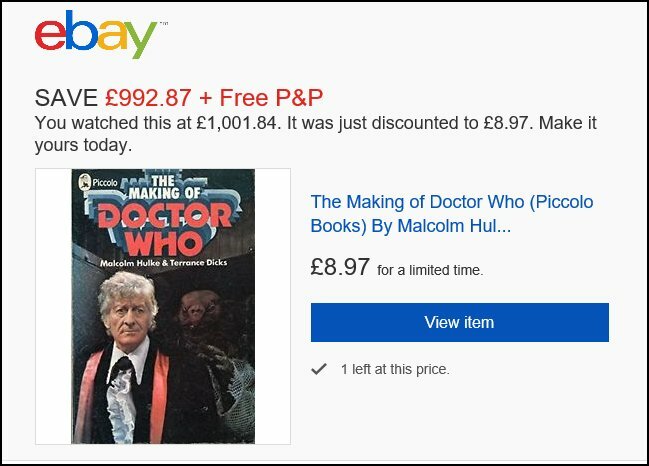 Having mentioned the above title being offered on eBay for over £1000 I see someone got a ‘bargain’ when it was reduced by over £990 as it is now listed as sold. ……. and finally with all the talk of it being 100 years this week since the introduction of Royal Navy fast boats it reminded me that it was a later one of these that PAN used to transport their books printed in Paris across the channel to Kingston. I am rewriting my Alan Bott page (very slowly) but the holding page shows the boat. 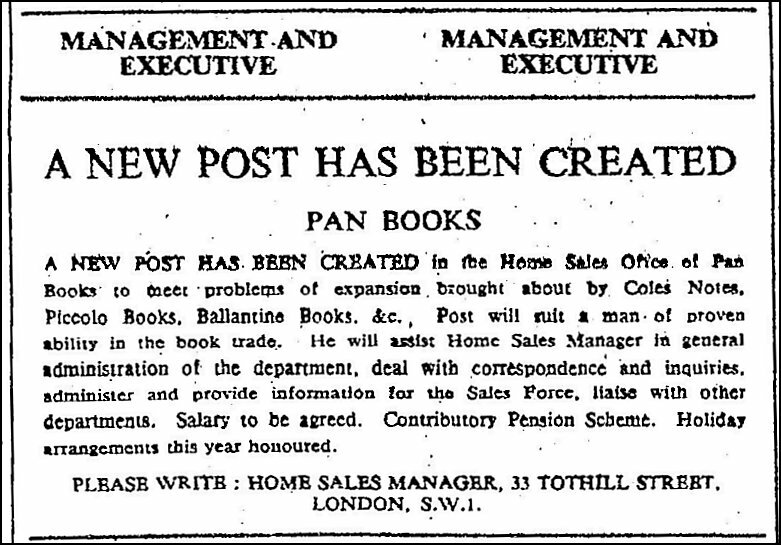 In 1971 PAN placed the above advert in the papers. I don’t think they would be allowed to say it “… will suit a man…” these days. I wonder who got the job? Finally thanks to Peter who pointed out that I had a duplicate scan in the Craft Books series I mentioned last week. I have now added ‘Knitting Things’ which, although listed as one of the series, does not actually say craft on it! Only a couple of items this week as having been in The Netherlands I’m just adding this at the last minute. Nothing to do with books but if you are in The Netherlands I can highly recommend a ride of the Stoomtram. 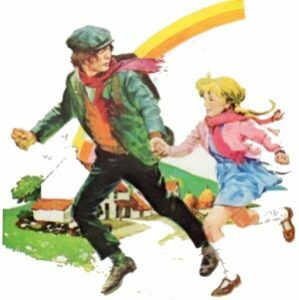 I recently noticed that PAN/Piccolo/Piper seemed to have published several editions of the Walter Macken title ‘Flight of the Doves’ made into a film in 1971. 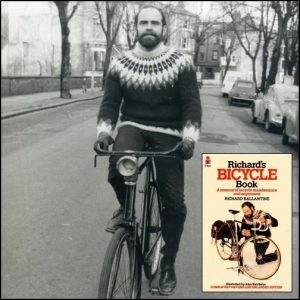 The Piccolo 1971 edition features the same artwork by Brian Bysouth as the DVD cover, film poster and LP cover. There is no mention of Brian Bysouth in the book but I did find he put a lot of his posters into an auction last year including this one. PAN published two editions for the film with similar screen shot covers in 1971 but one has SP on it which stands for Scholastic Publications. In every respect, apart from the cover, they are almost identical although the SP one only has a price of 20p on the back whereas the other has several for different countries. Scholastic was a company that sent catalogues of books to schools for children to chose reasonably priced editions similar to adult book clubs. 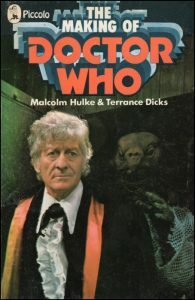 I was teaching at this time and remember this was the bane of my life, I couldn’t never get the money to balance and often had to make it up myself but on the plus side teachers got complimentary copies which were supposed to go on the classroom shelves but mine came home and I still have one or two. 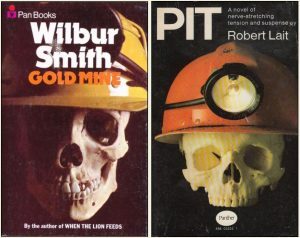 Now I know it must be difficult to come up with new ideas for covers but the PAN cover for ‘Gold Mine’ from 1970 looks very similar to the PANTHER cover for ‘Pit’ from 1969 but as they both have a mining/death theme it might be just coincidence? Greetings from the Netherlands plus some Piccolo titles. I hope this blog launches today as scheduled as I am currently enjoying the hospitality of the Dutch travelling on vintage steam ships and trains if all goes according to plan. 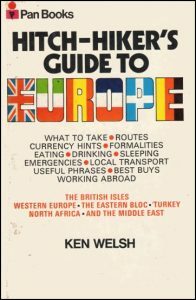 I may need to take my ‘Hitch-Hiker’s Guide to Europe’ and so I’ve just added a scan of the first edition to the Travellers page. 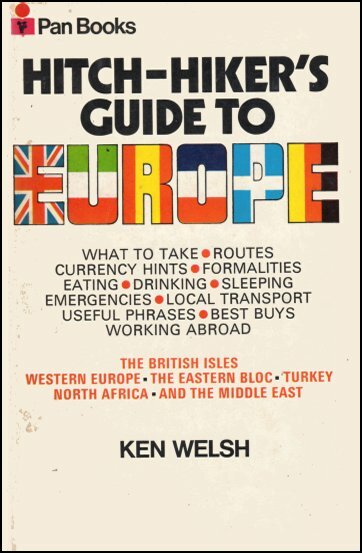 I spent a lot of time in the 60’s hitch-hiking around Ireland and when I looked at this book this week I though you couldn’t actually live on some of the prices quoted in the 1971 edition but on doing a few sums I think you could. It was written for the US traveller so prices tend to be in cents so 70 cents for a bed and 50 cents for a meal with an exchange rate of two and a half dollars to the pound. 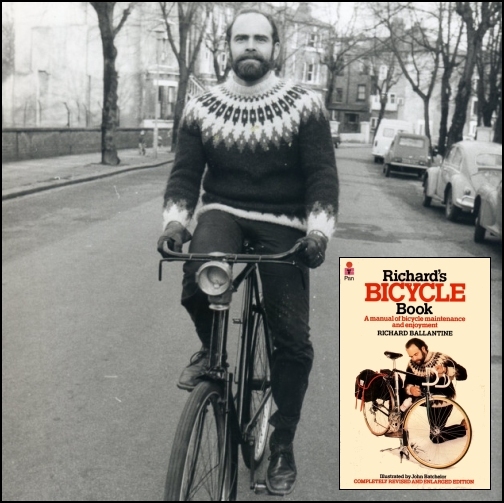 I mentioned the Piccolo Craft series of books and have now found a third title for knitters, the search goes on. 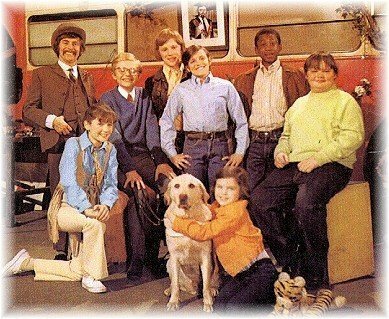 I picked up a copy of the tie-in to the appalling children’s television series ‘The Double Deckers’ saying it was in the Piccolo Colour series of books but it just doesn’t seem to fit in with the ones I already have on the site, anyone any ideas apart from it does have colour photos in it? 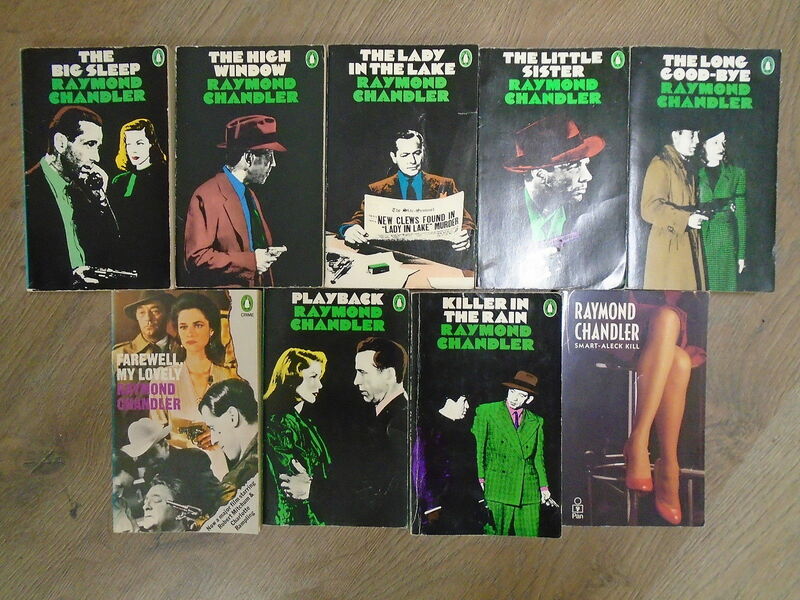 I meant to tie this blog in with a birthday, in this case Raymond Chandler’s but as usual have missed it by just over a week (July 23rd) PAN published nine of the Chandler titles plus he also wrote a foreword to ‘Bang to Rights’ by Frank Norman. 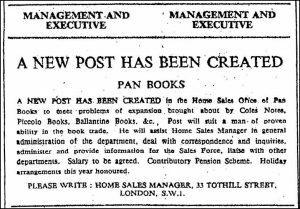 While looking into Chandler’s background I found it interesting in that there was the possibility of a couple of links between Chandler and Alan Bott, founder of PAN Books. 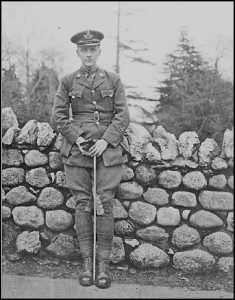 Chandler came over from the States and worked on the Daily Express newspaper in 1911 and again after the war in 1920 albeit for a week! This was the time (1909/29) the Express was edited by another American, Ralph Blumenfeld, whose daughter Josephine married Bott. 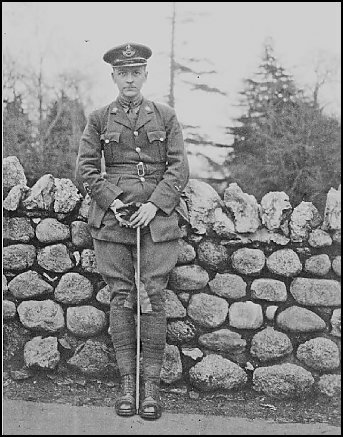 Chandler was also training in the RFC/RAF but didn’t finish before the war ended. Here he is in his RAF uniform but as can be seen he has not got his wings. Alan Bott was also in the fledgling RFC/RAF and was awarded the Military Cross and Bar. HERE is a page showing the PAN photo covers with assorted credits plus the three collections of his work. 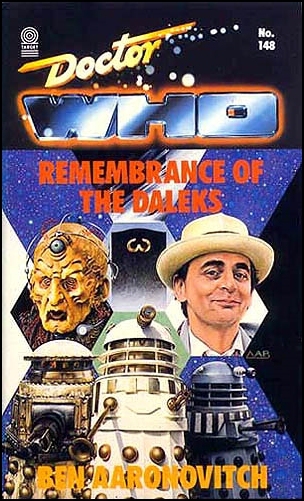 The collections have covers by Nancy Slonims who I’ve emailed so hopefully a reply soon. 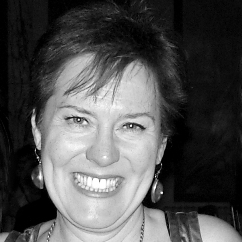 She is currently Senior Lecturer in Illustration at Middlesex University. Tailpiece. Just had an email from eBay telling me that there has been a reduction on ‘The Making of Doctor Who’ and I will now save £992.97 – not a bad discount plus free postage!